Crayfish Season Closes today! I tried a last ditch attempt at getting in, but the vis was horrid and there was loads of swell. I spent about 20min in the water looking for a fish for the pot, and then called it quits. Jaco Blignaut Would Have Come 2nd At Spearfishing World Champs!! "Jaco was unfairly disqualified on the first day, after the Chilean divers lodged a protest against him for using a body stringer. Jaco did not use a body stringer. All he did was to swim his fish to the boat and hand it to the commissioner. Technically we all did this - how else does one get the fish to the boat? The Chilean divers were irritated with Jaco because he found fish in the same cave they had also scouted. Jaco had a plan to get these fish by surfacing into an air pocket at the back of the cave and stringing his fish on a stringer attached to a drop weight at the bottom of the cave. This way he did not have to swim out of the cave each time he speared a fish. The Chilians never thought of Jaco's method and were very envious when they saw him swim out of the cave with a stringer of weighers. Other top divers including Maurizio backed Jaco but the judicial committee interpereted the rules the way of the Chileans and their protest was upheld. I tried several times to intervene on Jaco's behalf. Jaco consistantly stuck to his version of the events and most of the divers, including myself, believed his version. The food, accomodation and facilities were great and the boats we used were adequate with only a couple of breakdowns. The standard of organisation for the competition was not up to scratch. Each day hours were spent hanging around the start wasting time while the organisers went about seemingly without direction. I have never before been to a competition where I had to get upat 5.30am for an 11h45 start. On the 2nd day the armader of boats congregated at the same starting point of the first day and waited for the official boat to turn up. When it eventually arrived the chief organiser adresssed everyone in Spanish and the boats sped away to a new starting point. About half of the divers and commissioners with them, thought the competition had started and sped off to begin diving. After about 1/2 and hour these people were recalled and penalised 1 hour for false starting. Gyula was one of them. The organiser told him to get off his boat and onto the official boat and then gave his boat to one of the Croatian divers. Apparently one of the outboards on the Croatian's boat was playing up. The Croatian then left for the competition area with Gyuyla's gear after the new start. Although Gyula was only penalised 1 hour he did not get his gear back for the next 2 hours. Not surprisingly Gyula and one of the Kiwi divers decided to make a statement and headed back to the hotel instead of diving the second day. There were very few weigher fish around for both days of the competition. The areas were relatively small. Most of the fish were on the outside (seaward side) of the islands, with little but sand between and wide of the islands. Teams who had spent a lot of time scouting with sounders found scaterred patches out deep but these were heavily fished during the competition and the fish did not hang around. The top divers weighed between 5 and 8 fish per day and Jaco would have been 2nd overall with two hauls of 8 fish (white margo - rubber lips). There was a lot of noise from the 65 boats working the small areas each day and we wee lucky there were no injuries due to boating incidents. All the boats had a high prow - dificult to see past, with a view only down one side for the tiller operating boat handlers. In hindsight it would have been best to reduce the number of boats in the area by using 1 boat for each team of 3 divers instead of 3. The next Titles will be in Croatia - after the last performance by the organisers in Croata where the venue was changed at the 11th hour, I don't see either New Zealand or Auastralia participating. If you guys hold the comp off Durban in 2012 we will be there. Sorry there has been no posts, its just that there is nothing really happening on the Spearfishing side of things this side of the world. There is not even any surf! At the moment the sea is brown with a lumpy east swell and the wind is about to start pushing from the south. With some luck we might get some cleaner water, but its a long shot I think! The SA spearo team should be back so I am sure that there a full report on what went down. Just picking up on what has been said, it looks like there was a fair amount of questionable circumstances around the way the champs were run. The Final results for the CMAS Underwater fishing World Championship Venezuela 2008. We almost had a good result, Jaco would have probably come 4th overall if it were not for being disqualified for caring fish on his belt. Moo and Gyula had shockers both having days when they did not get any points at all! Flip if they went getting weighers it must have been hard going! Jaco finished in 14th far from 4th and his score helped SA aleast get to 10th. I am sure there will be a full report out on the World Spearfishing Champs soon. The sea almost was do able this morning, the rain and south west made just that little bit uninviting! I was actually hoping for a surf ... but no luck. Here is an English version of the article. Should , could & would have gone diving! Flip I could kick myself, I woke up before 4 bells to go dive, I could hear the wind blowing so I jumped on the pc to see what the wind was doing at Durban Airport. The wind was South West at 6knots. The forcast showed that it was going to pick up through the morning. So I went back to bed. Big mistake the wind dropped to 3 knots and the sea was epic when I drove part en route to the office at 6bells. The wind is "supposed" to pump today so no chance of an arvo sesh to make up for missing it. hey I really do need to get that house on the beach, so I can check the conditions properly!! What went down on the weekend. 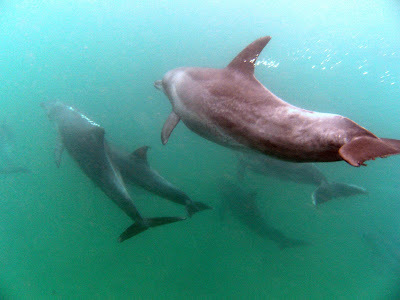 Gee this weekend we had some epic diving conditions, Saturday was one of those days when it is good to be alive. We dive north Tinley and the vis was well over 20m, the game fish were quiet but the fish life was out of this world. One of the pinnacles had slinger, bronze bream, soldiers and others feeding right up to the surface. We dived alot of reef around the 20-26m mark and most the time you could make out the reef from the surface. The freaky thing was that there were reports of the fishing skies getting cuta all along the north coast .... apparently even a Wahoo came out off Umhloti? Any Way it was good to have a weekend when the wind did not pump all week end. .. lets hope we are this luck next weekend! Well it's getting to that time of the month for our monthly get together which will be held on the 30 October at the Pietermaritzburg Underwater Club from 6:30pm. We will be screening the latest Freedivers DVD which has not been officially released yet but Shane has been kind enough to let us have a sneak preview. 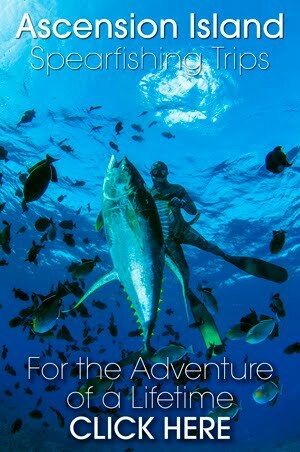 It features Ryan Burmester & Len De Beer diving off the Natal coastline spearing some awesome fish. Not to be missed! There will be the usual cash bar and once again 1000 Hills Chef School is going to be preparing a delicious chicken curry at R20 a plate. For catering purposes please RSVP if you would like to join us for supper. Once again please forward this to anyone you think would be interested. All the teams here now. Is about 23 countries. There is an obvious difference between the top and bottom teams. Some countries (including SA) have fit healthy looking athletes. Some countries have teams of Elephant seals. Some like Chile have 4 foot eight specials with tummies. Looks can be deceptive (or maybe not). I saw a huge guy do a 2.5 minute dive yesterday. We shot out the area yesterday. Landed 300kg quality fish before lunch. All the other teams saw our catch. To put it mildly they were very impressed (but secretly incredulous.) No one else here even sees what we land. Moo as usual has an eye for the special fish. He got a 10 kg Grouper plus a 7kg Snapper on top of his Barracuda Yesterday. Jaco as usual swims (kicks continually) - heaven help anyone that tries to follow him in the comp. I tried a new gun from Rob yesterday. Had the 50 M dynema stripped 4 times in a row. Landed all 4 fish (Barras of 16 to 20 kg each). Had to wait 5 minutes because reelgun overheated (not joking). Shot and killed another 6 Barras with spine shots. (I have to lock my guns in a safe here .) Apparently it has nothing to do with my trigger finger. We caught a 6kg lobster in a cave at 32 meters. They are big and deep here. Never seen a cray that size before. I also saw the little skinny fisherman. He weighs about 50 kg and carries his 75 Yamaha outboard on his shoulders about 200 meters from his shed to his boat every day by himself.. They steal about 20 outboards in Venezuela every week so he has no choice. Moo has a cut on his little toe (should be ok in 3 days) Moo knew a week ago what he wants to do in the comp.He has incredible fish sense (better than anyone I ever dived with ) He is over this scouting thing. He has gained at least 5 pounds and looks like a man now,. His shoulders have grown wider. Jaco is highly fined tuned (another word for stressed) about his body and where to dive in the comp. We now know this is normal for him so we just ignore his perfectionism. We do however acknowledge his opinion and he will be appropriately briefed before the comp. The comp is quite tricky. Fish could be shallow, deep., in caves or the game fish could be thick. My individual strategy is as follows. I dive on 14 small rocks I found in the deep (all 35 to 38 meters) More current just means I work harder. If I am specific enough no one can touch my potential fish catch there, Everywhere else in the zone is a scratch. (70 divers) I am not diving to cover up. I am diving to smash the fish. Like Cory says . Honour and Glory. However I have scouted and trained for months and am satisfied that all these rocks will be flattened. The Spanish cannot cover all the rocks all the time. Jaco has some shallow cave mining ideas plus a few other plans that are not finalised.Moo will decide on morning of comp. He is unfazed right now. My pool bottom time is 4.5 minutes (official team trial time here) I training Apnea in pool but boys find this boring. My longest dive in Ocean 2.5 minutes. Comp budget is 60 dives of 33 to 38 meters for me (1 min 20 to 1 min 45 each dive) Fish every 3 dives. Winning catch here estimated at 14 fish by the Marine biologists. Yes I might get nothing but this is my realistic out of the box approach. Jaco has a good spot for Rock Salmon elsewhere and this whole comp zone is quite fishy. Moo got a 20kg Cubera here last month. We have to first see if the gamefish are thick before we can rush for caves here. In scouting you can stab the wahoo with your diving knife (not joking ask Mark) Also a big shoal of resident Barras. So hold thumbs. We having big team plans closer to the time dependant on the water conditions. There are few secrets here so may the best divers win. SA has 4 top notch divers here. Mark the diplomat has made our lives much easier for everyone. Where shore based fishing is allowed in certain of the MPA’s, MCM agree that underwater fishing from the shore should also be allowed. They have agreed to modify the legislation to this effect. It may take up to two years. The re-issue of contracts to manage various launch sites on the north coast of KZN is currently being done. It is agreed that anyone managing a launch site (club or municipality) is mandated by law to allow access and launch rights to the public. If this is not being done the launch site will be closed. An attempt by commercial anglers to have a bag limit of 5 per person imposed on King and Queen Mackerel, Geelbek, Yellowtail and Cape Snoek for non-commercial was blocked by non-commercial anglers as these species are not under threat. A proposal by the non-commercial anglers that further restrictions on closure during the breeding season for Black Steenbrass and Red Steenbrass was accepted by the meeting and passed on to MCM for investigation and legislation. The moratorium on the taking of Seventy-four has been extended for another five years. A table showing the issuances of angling and spearfishing licences from 1998 to 2007n was handed out. In 2007 there were 160535 angling licences sold, 3961 spearfishing and 11849 boat licences, giving a total R11.21 million. MCM thought the number of crayfish licences numbered over 5000, but these included licences sold to anglers. MCM are proposing to allow the application and issuing of licences online via the Internet. The system may take a year to implement. In another development, KZN Wildlife have offered to issue licences in bulk to any organization that can provide them the required level of detail in their computer format and make a single payment. We will be investigating this on behalf of our registered members. The Stilbaai MPA has now been officially proclaimed and the extensions to Kei Reserves, Namaqua and Bird Island are in the pipeline. The new Linefish Observer Program has already measured 180000 fish and is providing vital fish stock management data. The people doing it do not work for the Parks Board or MCM and thus our members are encouraged to co-operate and give these people the information they require. Commercial fisherman were flabbergasted when it was announced that the economic impact to SA of non-commercial marine fishing amounted to R6.8 billion in 2007 and was 40% more than commercial fishing. They want their own survey done. 16 dead Whale Sharks were recorded on the KZN Coast in 2007. During the meeting, I was able to speak with Chris Wilke who is Chief Scientist for MCM on the proposal to ban spearfishing in the Draft of Standards for the Hunting Industry. He agreed that this was in conflict with the Marine Living Resources Act and undertook to pass this on to his colleagues at MCM to get it sorted out. He warned that we should continue to be vigilant on this matter until it was resolved. A proposal that we consider scrapping the R100 registration fee has been received. Their contention is that SAUFF would get many more registered members if it removed the fee. It was suggested that SAUFF could earn sufficient revenue by asking anyone who ran a tournament to charge an extra R20 per entrant, to be submitted to SAUFF. A second proposal by Richard Bruno is that he would personally pay the registration fee for the first year of any new member who was introduced by an existing member. i.e. two for the price of one. The SAUFF committee appreciates this magnificent gesture by Richard and are looking into the practicality of introducing it into the existing system. GAUTENG SOUTH UNDERWATER CLUB pledges to donate to SAUFF R 5.00 ( FIVE Rand ) for each existing membership and for each new member added to the 100 or so as of even date for a closed period of ONE YEAR from today's date. If we can sign up the other 4900 missing divers in one year that purchase licenses each year then we will place SAUFF in funds of R 25 000.00 to be used as they see fit but especially to aid our fight for our right to practice the most selective form of fishing known to man. WE CHALLENGE ALL OTHER UNIONS AND CLUBS TO PLEDGE ANYTHING FROM ONE RAND PER DIVER OR TO EQUAL OR BETTER OUR PLEDGE STARTING WITH OUR INLAND BROTHERS GNU. LEN ? Again SAUFF applauds this magnificent gesture. I have had over 10 e-mails from registered members who reject the view that scrapping the registration fee of R100 will increase the number of members. Their view is largely that getting something of value for nothing is worse than useless. I will attach to the next newsletter, the Income and Expenses of SAUFF to date, which will indicate exactly why SAUFF needs money to run itself, over and above the voluntary contributions made by the committee members which are not paid for by SAUFF. News from Venezuela is that most of the teams have now arrived, and that things are going well. There is now less than a week to go before the Opening Ceremony on the 20th. www.saspearoranking.co.za is the website to register with SAUFF and www.sauff.co.za is SAUFF’s website. Check them out. Lastly we have decided to include both East Coast and West Coast Rock Lobster into our records list. More details will be included in the next newsletter in November. Well the beasterly easterly is already pushing and is going to pump today. I wanted to get in this morning but he sea was already all over the place this morning at first light. On the bright side the conditions are looking good for this weekend. Both Saturday and Sunday will have diveable conditions, lets just hope the vis clears with Fridays strong south. I also hope the strong winds will stur things up a little ... the fish have been very quiet. Only the odd lost Garrick and snoek have been seen the last few days, and I have heard of very little action from the guys. Fingers crossed for the weekend. Hey guys sorry this is so late!! Was busy surfing before work ... and then have been chasing my tail to get on top of things. The surf has been ok nothing super but good surfable conditions, more than what we have had the last few weeks. The water on the other hand has just not cleaned up properly. I went for a dive last nite hear off Boulders and it was a churned up 2-3m!! The Sharks Board report says it is 6m now ... it might be but I would not bank on it! Tomorrow morning looks like a pearler and I hope ther is still some swell around as the tide will be high early and I am not amped to dive in soup. The e-mail and response below were hastily drafted on Saturday morning. As you can see, the government are, by a clever back door method. Proposing a complete ban on the taking of fish by means of spearguns. Only by a personal contact between Jeremy Williams and some hunting friends did we find at about it at the eleventh hour. They tried to contact us via SAUU but failed. The hunters are AMAZED that we only have 100 members. The apathy of the SA Underwater Fishing community, ably demonstrated by poor member registration and lack of support for our National team will surely lead to our downfall. herewith the SAUFF letter of objection that was put together post-haste, hopefully in time for discussion in Weenen. While the SAUFF has not included the exact clauses to which they object, mainly due to time constraints, they did discuss their specific concerns with me ,and I would like to point out their concerns on their behalf in order to "get the ball roling":If they wish to expand on their specific concerns they can do so after this weekend as I cannot reach them now. Section 1 of the draft Norms and Standards states "These norms and standards shall address all activities related to hunting." Section 2 , the definition of hunting, states "includes the catching or killing of fish by any method other than by angling or netting" Therefore it is argued that spearfishing is included in the definition of hunting. Section 4 ,detailing Prohibited Hunting Instruments and Methods, in item p states "by means of .... a speargun"
Please view the letter of objection below in the light of above concerns. On behalf of the members of the SA Underwater Fishing Federation we wish to take strong exception to your proposal to ban Underwater Fishing in South Africa. We would consider this an infringement to our constitutional rights and would be prepared to take legal action to oppose any such legislation. We would like top point out the following facts in support of our view. 1. 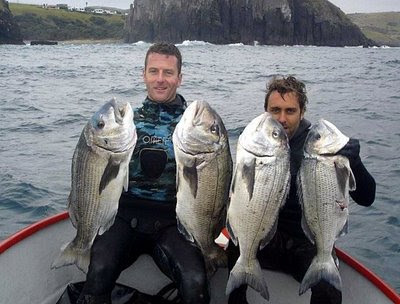 Underwater Fishing is regarded as the most selective form of fishing that there is. 2. Nowhere in the world is Underwater Fishing banned. 3. There are over 5000 licenses sold by the SA government each year to citizens who practice this sport. 4. Underwater Fishing at a competitive level is regarded as one of the most extreme sports in the world. 5. On the 20th October the 26th World Underwater Fishing Championships are due to start in Venezuela. Only 20 of the best teams (Countries) in the World qualify to take part in this event and South Africa stand an excellent chance of winning it for the first time in our history. You may thus be banning the World Championships winning team, which given the publicity surrounding the failure of our Olympic team, should ensure that you will be given an opportunity shortly before the media to explain your actions. 6. SAUFF are affiliated to the SA Sea and Sport Fishing Federation, and we will be appealing to them to support us in this regard. 7. SAUFF are affiliated to CMAS, the World Diving Federation, who have fought legal battles in other countries to have our sport unfairly penalized. 8. SAUFF are affiliated to SAMLMA, who are meeting in Durban on 15th October 2008, and we will be raising this issue with them as well. 9. The collapse of the Underwater Fishing Industry would have a significant socio-economic impact on SA and as numerous scientific studies have proven, show little or no impact on improvement of the environment. 10. Lastly, the fact that there has been no consultation with us on this matter, and indeed no invitation to your meeting, is a clear violation of our constitutional rights. I trust therefore that you will take no further action on the clauses in your documents, pertaining to Underwater Fishing until we have had an opportunity to discuss it all the issues with the relevant authority and put our point of view. Weekends Spearfish and Surfing Prospects. The vis is not that great but good enough for a point dive, the surf looks like it will be ok so there will be some fun to be had .... some where!!! The east is going to blow from tomorrow mid day so get in early and Sunday ...... looks like a bit of a mess!! The guys had the Border Open Spearfishing Comp down at Hole in The wall in the Transkei over the weekend. Apparently they had good conditions and clean water, with some good fish being speared. I dont have the exact results just yet but I will post them as soon as I get them. The weekend started with a bang! Helen Garner came and spoke to us about Freediving and Breath hold, it was truly amazing. We had a full house at Club Nite and I think every one came away enriched or realizing how little we actually know about the sport we love. I am going to be chatting to Helen about doing some more extensive training over some weekends ...should be the bomb. The diving conditions were good all weekend, but there was not too much action. I did hear of some Snoek and Garrick action off the backline by one diver, I suppose that is too be expected this time of year when everything kind of happens on the back line. I got a small Brusher this morning up against the bricks, its about time these fish started to make an appearance. And hopefully we will get some more before they disapear again. Kelly Slater Wins 9 ASP World Title! 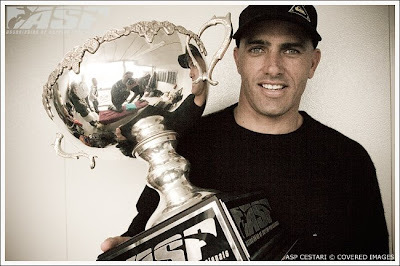 Friday saw Kelly Slater Win his 9 ASP World Title!! Un freaken believable!! He is now the Oldest & Youngest title holder, as well as the most titles. Tonites Club nite will be a bring and share! The weather looks a little bleak so bring a pizza, plater, salad ... anything to share. Helen Garner is doing some Freediving Training ..so dont miss out. Wahoo Spearfishing Club to DUC Join Forces! The move comes with mixed feelings, Wahoo will never be the same as it was. Some fear that the amalgamation, even tho Wahoo retains its name will loose its identity and individuality. On the up side ...if all goes to plan, Wahoo will have a beach front club house (shared), launch site & ability to register boats etc. I guess the votes tell a story tho, the guys must be feeling that the move will be good for the club. 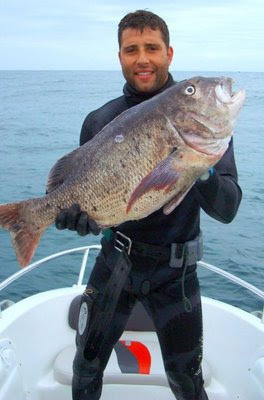 I look at this scenario and wonder if this kind of venture would not be good for us at the Salt Rock Spearfishing Club? If the opportunity ever did arise it would be seriously tempting to make the move. 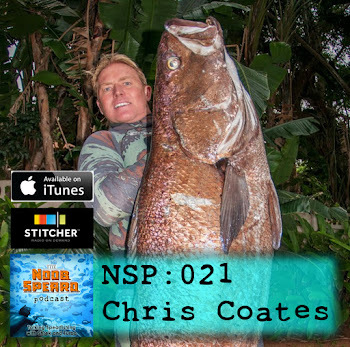 Never the less this will be the dawn of a new era in spearfishing in Durban, I think there are too many passionate people, like Chris West in Wahoo, to let this one fail. I am sure there will be challenges but the benifits are going to have far reaching effect. Back at home it is Salty's Club Nite, tonite, Helen Garner an AIDA Freediving instructor is coming to chat to us. The weather looks grim now but the forecast says no rain for this evening, so the braai will go on!! Well dont get too excited about the spearfishing!! There is maybe a small gap tomorrow morning, it will be windy but it could be diveable. The weather just becomes fish curry from there, both Saturday and Sunday have strong winds in the morning ..... fudge! On the bright side of things, the weather looks good for friday evenings braai at the Salty's Club Nite! This is a big plus coz I think we might need to sit out side with all the chaps coming to the Breath Hold Traing chat with Helen. It is also the Border Open this weekend down in the Transkei, I hope the guys get some better conditions than we are having. Some of the guys are already there and got a dive in further south getting some good Cracker just to get things going.